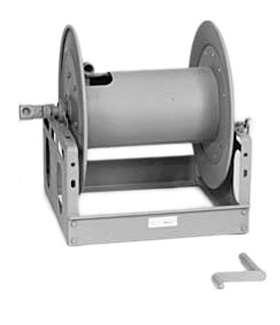 Heavy Duty, Quick-acting Continuous Flow hose reels are equipped with a universal mounting stand suitable for installation on walls, columns, ceilings, or floors. Water pressure is available at the nozzle at all times. Non-collapsible rubber hose is sold separately. Water is instantly available and brought into action quickly. It is not necessary to unreel all the hose.